Intracardiac ECG enables cardiac assessment through pacing and recording via electrodes within the heart, characterizing the physical and electrical properties of landmarks within the atrium and ventricle. 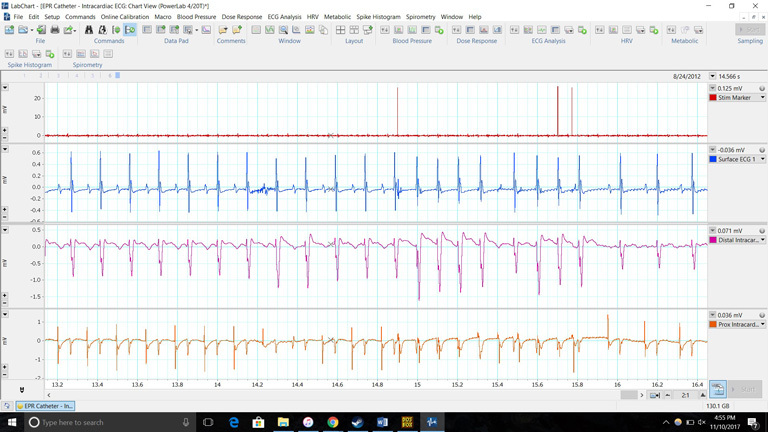 Intracardiac recording is an important tool for detailed ECG morphology, phenotyping of cardiac disease model subjects, and direct and flexible pacing and recording protocols. Our combined hardware and software solutions make extending this application into small animals a breeze. LabChart’ stimulator can be fully programmed to produce your desired stimulus waveforms, and our analysis workflows are incredibly simple. In conjunction with our solutions below, any device with an analog output (+/- 10V) can be connected to a PowerLab data acquisition system for synchronization in LabChart, giving you more flexibility and the ability to integrate all your data streams in one place. All of our hardware recommended for human use is backed by the appropriate safety certification standards. More information on safety standards. General purpose stimulators (4 and 8 Channel) that can be controlled by a trigger signal from the PowerLab. Record ECG via electrodes within the heart. Measure electrical stimulation and pacing in animal subjects. 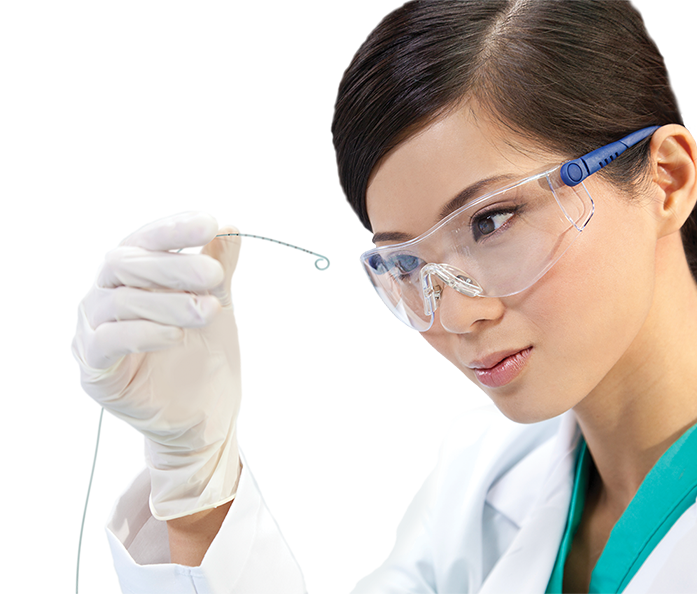 ADInstruments systems provide an integrated solution to advance life science research. With the combination of LabChart analysis software and a PowerLab data acquisition unit you have the flexibility to collect and synchronize a wide range of signals for analysis. We also offer a range of LabChart compatible solutions able to stream directly in LabChart. High-performance data acquisition hardware designed for life science research. PowerLab is engineered for precise, consistent, reliable data acquisition, giving you the reproducible data you need while meeting the strictest international safety standards. 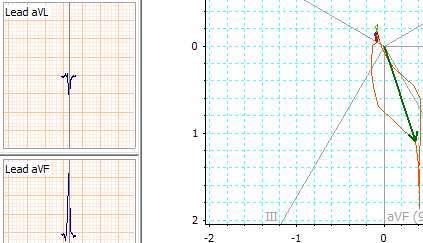 Automates the calculation of frontal plane electrocardiograms and the vectorcardiogram. It can also animate the instantaneous cardiac vector display. Extract waveform information into text format from areas of interest in your data. Recording location of the the electrophysiology catheter can be varied depending on your study protocols, via the jugular vein for placement inside the right atrium and right ventricle, via the esophagus for placement next to the heart, or via the carotid artery for placement within the left ventricle. What is the Millar MPVS-300 Pressure-Volume System? What is the Millar MPVS-400 Pressure-Volume System? What does the Millar Manufacturer Warranty for Mikro-Tip Catheters cover? Where can I find my Device Key for upgrading my MPVS System for multi-segment use? Can surgical adhesives or common super glues be used to fix a Millar Mikro-tip catheter to a vessel? in Intracardiac ECG on Google Scholar cite ADInstruments. Thank you for your interest in Intracardiac ECG. Please complete and submit the form below and an ADInstruments representative will aim to get in touch within one working day. If you’d like to speak to someone immediately, office contact information is available from the contact page.